Spend nine days on the flanks of Denali navigating it's intricate crevasse fields of the Kahiltna Glacier, climbing on exposed ridges, and managing the elements of the Alaska Range. Fly in a ski plane to Denali's Base Camp on the massive Kahiltna Glacier, surrounded by North America's highest peaks. Become well versed in the skills of expedition climbing in the best classroom possible: the mountains of the Alaska Range. Enjoy our exceptional 3 to 1 climber-to-guide ratio during the course, benefiting from the experience, expertise, and tutelage of RMI's renowned guides. Potential climbing objectives include: Mt. Crosson (12,352'), Mt. Francis (10,450'), or Kahiltna Dome (12,525'). 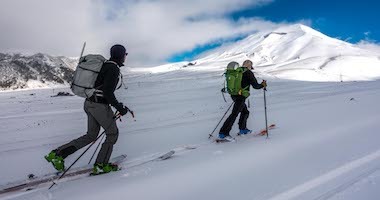 RMI's Alaska Mountaineering Seminar - Expedition takes place on one of the largest glaciers in Denali National Park & Preserve, the Kahiltna Glacier. The incredible variety of terrain is ideally suited for learning expedition climbing skills, and offers numerous moderate and enjoyable climbs. Our expedition course has been designed to prepare you for guided ascents of Denali and Aconcagua, and to enable you to lead your own adventures on other peaks back home. Ice climbing, glacier travel and navigation, expedition techniques and preparation, and crevasse rescue are some of the skills introduced and practiced during the course. In addition, camp construction, sled hauling and fixed-line travel are Denali-specific skills you will master. An ascent of Mt. Crosson, Mt. Francis or Kahiltna Dome will provide invaluable practical experience. 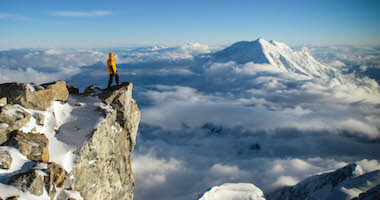 RMI is proud to offer a climber-to-guide ratio of 3:1 on our Alaska Mountaineering Seminar - Expedition. Our experienced guides offer extensive personal instruction through the course, from the teaching of fundamental climbing knots to instruction and guidance during the climbs. Rainier Mountaineering, Inc. is committed to a safe, fun, and educational program and these goals are best achieved with a low climber to guide ratio. While less expensive instructional programs in Alaska exist, none offer the instruction, quality, and experience of RMI. 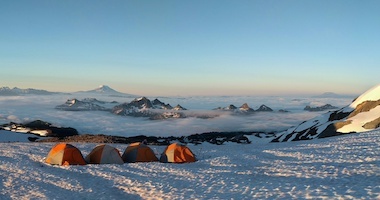 Successful completion of the Alaska Mountaineering Seminar - Expedition in combination with climbing experience on Rainier or other glaciated peaks will make you eligible for any of our expeditions on Denali and provides you with good experience for other glaciated peaks around the world. With over 40 years of experience of guiding on Denali alone, RMI's legacy of instruction, safety, and success in the Alaska Range is unmatched. Our Alaska Mountaineering Seminar - Expedition is designed from years of experience guiding climbers on North America's highest mountain with the goal of providing participants with all of the necessary skills to go on to safely, confidently, and successfully scale Denali and the world's other greatest peaks. Safety has always been RMI's top priority and we strive to create the safest mountain experience possible. Our experienced team of guides focus on leading a fun and successful program without compromising safety. Our climber-to-guide ratio is 3:1 and provides an unusual degree of personal service from RMI's guides and increases our margin of oversight and safety on the mountain. The gorgeous Alaska terrain, the learning experiences, and the opportunity to meet new people. The team and guides. Very well organized and great instruction. The trip gave me a much better feel for what a Denali Expedition would involve. It was a fantastic learning experience, with knowledgeable and frankly fun guides. I enjoyed learning and just being in the Alaskan range... Enjoying the beauty surrounding us with professional guides and an amazing group truly made this trip an amazing experience. The guides really set a professional, safe, low key but motivating and enjoyable tone for the whole trip. The chance to learn mountaineering skills when your office is Crosson, Foraker, Hunter, Denali, Francis...is unmatched. Being flown onto the Kahiltna Glacier by a badass Alaskan bush pilot, landing on skis, and living in the Alaska Range for 9 days was unbeatable. I still remember the moment of awe and fear and stoke when we had quickly unloaded all our gear off the planes and they took off into the distance, leaving us behind for what has turned out to be one of the most memorable trips we've ever taken! While being able to do Denali may not be feasible given my size/weight, with the seminar one can have a similar experience. The guides were superb, it seems that I say that every trip that I take, and I truly appreciate the attention to detail (i.e. the bathroom privacy stakes/construction). All three guides were wonderful people and were great to learn from. The group came together as a team which was fun to be a part of. I personally enjoyed the opportunity to climb Radio Tower. My most memorable thing was not what but it was who. The people made the trip. What a great group of people, guides and climbers both! I am certain that I've gained some new friends for life from amongst the group, and we always had very interesting things to discuss. Clearly, RMI attracts a high-quality client base, and it was a pleasure to work with everyone. All of the opportunities to lean and improve my mountaineering skills. The entire experience really. It was my first trip of this type, and I had very high expectations. The trip exceeded my expectations on nearly all levels. Leon, Garrett, and Bridget were extremely supportive, patient, and anxious to share their knowledge with us. Our group got along extremely cohesively, and there was a great vibe throughout the whole trip. I learned a ton in a short period of time, and had a great time doing it. I had an absolute blast on this trip! I got to meet and get to know some truly inspiring, badass people and learned so much. I can honestly say that before this trip I couldn't tie a knot to save my life and now I can proudly say I know how to tie various knots and hitches. In addition to learning lots of new technical skills, I gained a greater understanding of certain pieces of equipment, and got a good feel for what an actual Denali expedition would feel like even at it's worst with bad weather and getting stuck at camp. I'm especially glad I got to learn how to keep myself entertained during those periods. The guides were amazing, their knowledge was vast and deep and they could easily teach anyone mountaineering skills. They were tremendously patient with all of us and our various learning styles and speeds. Most importantly they demonstrated great leadership by putting our safety first and really getting us into the team spirit. Although we were unable to go for Kahiltna Dome, it didn't matter, I got to have the adventure I was looking for and my time spent out there satisfied my soul. I hope to get to come back to the Alaska range next year with RMI and give Denali a shot. Being in beautiful landscape for 10 days and learning a lot. The amount I learned from these expert guides was incredible. I just spent the trip trying to soak in every bit of information I could. I love to learn and we easily had time to complete all the learning objectives and even a little extra snow/avalanche training. We got lucky on the weather which helped. Being in Alaska!!! The guides were pretty rad, too. I appreciated that they encouraged me to participate in sharing my knowledge with the rest of the team, something I thoroughly enjoyed. The relationship with the guides and the confidence i was able to build with them. 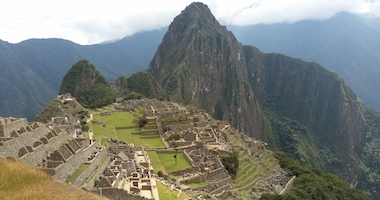 Certainly the scenery is magnificent as well and the overall experience was excellent on all levels. The ascent of radio control tower. We took a somewhat steeper approach (30-45+ degree snow up a gully on the south side) that I enjoyed greatly. Leon and Eric are outstanding guides and worked immensely well together. They balanced each other better than any guides I've ever seen. The flights, the scenery, and the camaraderie among the group were all outstanding. I made some great friends and learned skills to move more efficiently and safely in the mountains. Shuttle transportation to Talkeetna is included in the program. The shuttle leaves at 4:30 p.m. and takes three hours to arrive in Talkeetna. The group will stop at a grocery store in Wasilla, for the opportunity to purchase any fresh food you'd like to bring on the mountain (cheese, salami, etc). The team will arrive in Talkeetna at approximately 9:00 p.m. Overnight in Talkeetna. There are a number of important items to accomplish in Talkeetna. After our breakfast meeting we begin our training at the K2 Aviation hangar. The team will go through extensive personal equipment checks. Final recommendations and suggestions concerning gear will be made at that time. The team will plan meals and ready group food and equipment for the glacier flight. There will be an introduction to safety practices, including use of helmets, harnesses, and avalanche transceivers. Instruction regarding Leave No Trace practices and environmental considerations will be made as well. After all is made ready we begin shuttling members into the Kahiltna Base Camp, weather permitting. This spectacular scenic flight requires approximately 45 minutes, one way. Once at Kahiltna Base Camp we continue our expedition skills training by learning camp site selection, and how to build a mountain camp and kitchen. The following seminar itinerary is approximate and depends on such considerations as weather, route conditions and strength of the party. Nine man-days of food and fuel are carried on the mountain. There are emergency food rations at Base Camp, in case weather prevents the group from flying off. It is best to purchase an airline ticket booked to depart Anchorage one week after the seminar's end date. When you return to Anchorage, you can then reschedule your flight. 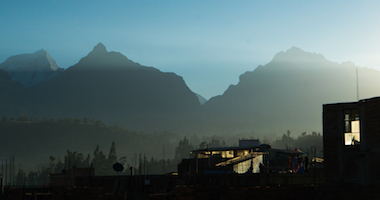 At Kahiltna Base Camp we begin building the foundational skills that allow travel and access to more varied terrain. Skills covered on this day include: knots, harness, carabiner and avalanche transceiver use, proper use of the ice axe for balance and self and team arrest, cramponing on moderate terrain, and the basics of roped glacier travel. Evening discussions will take place throughout the seminar and cover a variety of mountaineering topics such as: mountain medicine and wellness, weather, route finding and navigation, expeditionary climbing techniques, alpine climbing techniques, self care and the art of climbing efficiently. Our first summit day. A moderate climbing objective will be picked by the guides for the first summit attempt of the trip. Our goal is to apply the techniques we have learned up to this point, have an adventurous and safe climb, and be back in camp by early evening. We spend the morning learning how to construct a variety of snow and ice anchors for use in belaying, rappelling, and crevasse rescue. In the afternoon, our focus will be on expedition skills such as fixed rope travel, sled rigging and crevasse rescue. During our crevasse rescue practice we learn self rescue, how to extricate ourselves from a crevasse if we have fallen in, and companion rescue, how we extricate a team member. These are essential skills for an ascent of a large expeditionary peak like Denali. With our technical training accomplished, our focus shifts toward gaining practical experience on one of the many nearby peaks. Potential objectives include: Mt. Crosson (12,352'), Mt. Francis (10,450'), or Kahiltna Dome (12,525'). The mountain and the route we select depends on weather and route conditions. Our goal is to safely climb a route that allows us to apply all of the skills that we have learned throughout our course. This day entails breaking camp, packing and pulling sleds, and re-establishing a new camp on our selected route. Depending on our selected route and our climbing goals, this day may include moving camp to a different location, reconnoitering a potential climbing route, additional training or perhaps even a summit bid. The high point of the trip! Our summit objective will be an exciting, all-day climb, with the rewarding view of the surrounding peaks of Denali, Mt. Foraker and Mt. Hunter. We descend to our high camp for the night. Today we break camp and descend through the crevasse fields of the Kahiltna Glacier to Kahiltna Base Camp. We fly from the Kahiltna Base Camp to Talkeetna for a celebratory dinner. Overnight in Talkeetna. Expedition-style double boot, with high altitude expedition-style inner boot is mandatory. 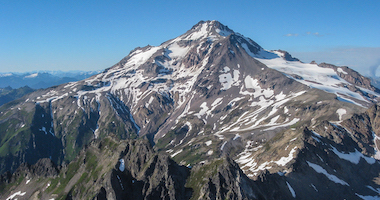 On the Alaska Mountaineering Seminar - Expedition you will need 9 mountain lunches. All of your mountain lunch items should weigh 7+ lb. Nine man-days of food are carried on the mountain, which can be stretched in the event of bad weather. Additionally, a cache of emergency food is left at Kahiltna Base Camp. Managing risk is RMI’s number one priority. Our guides manage significant hazards inherent in mountaineering such as avalanches, ice fall, rock fall, inclement weather, and high winds, but they cannot eliminate them.